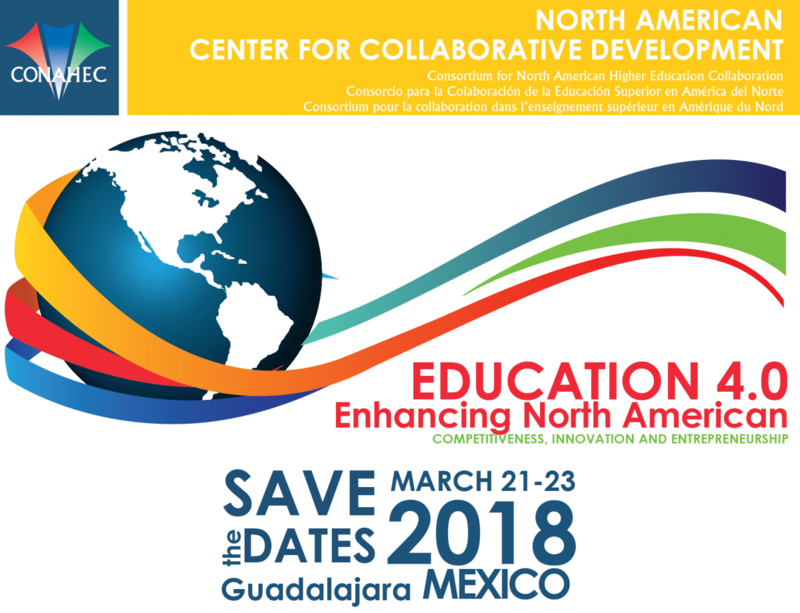 The second conference of the NACCD will focus on the role of competitiveness, innovation and entrepreneurship in the North American regions key drivers in the future development of our already strong and competitive region. Bringing together academics, entrepreneurs, productive sector and government representatives from the three countries, we will promote the exchange of ideas and experiences on issues and trends of regional importance such as: the future of NAFTA; industry 4.0; international collaboration in science and technology; innovation and entrepreneurship ecosystems; smart cities, trade and logistics and start-ups and investment capital among others. Submit your proposal now using our online system! Our conference will be co-hosted by Jalisco Consortium for Higher Education Cooperation and Internationalization, comprised by the Secretary of Innovation, Science and Technology (SICYT) of the State of Jalisco and six higher education institutions located in the city of Guadalajara. Join us in historic Guadalajara, a beautiful and safe city where many Mexican cultural traditions were born and are celebrated to this day, to set the agenda for a renewed North America, based on a shared vision of collaboration between higher education institutions, government, industry and civil society.